In many respects- sound, composition, and even vocals- this what I would imagine early 1970s Genesis to have been like had they remained together, hadn't gone pop, and it was the 21st century. The guitarist sometimes goes long sections without playing anything at all with respect to lead guitar, and when he does, it's pretty reserved and isn't flashy, much like Steve Hackett's work. Weird as it may be to say, the drumming even sounds like that of Phil Collins, both in technique and overall sound. The lead singer even sounds an awful lot like Peter Gabriel, in terms of tone and even harmonies. The downside of this is that while there may be genuinely excellent music here, the sound is nothing unique- I liken it to Starcastle's debut, and how it is considered imitation Yes and therefore lambasted despite great compositions and performances. 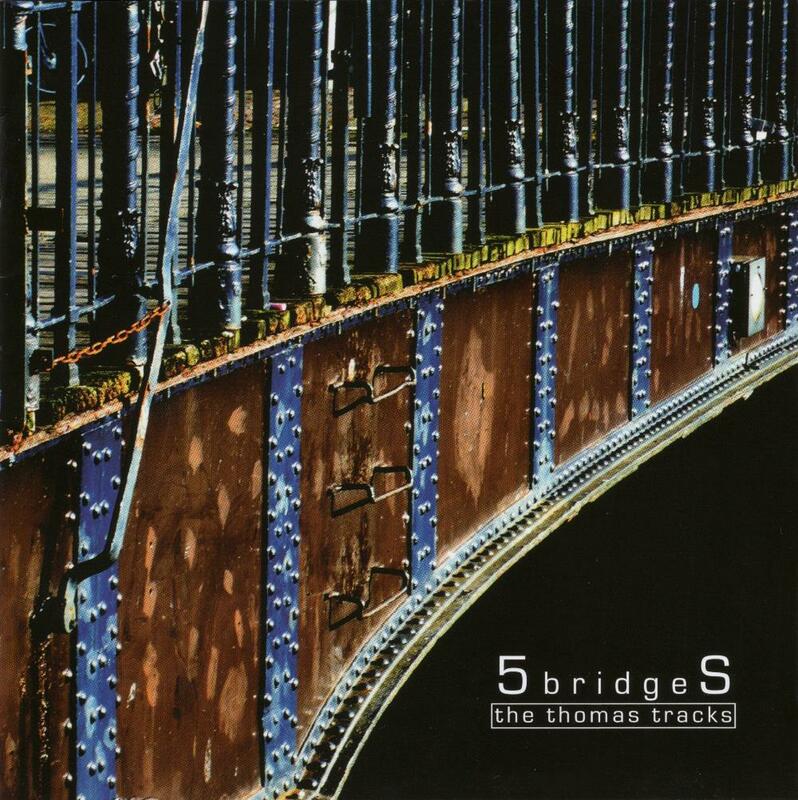 If 5Bridges is not heavily influenced by Genesis, then it's the biggest damned musical coincidence I've ever heard of. As for the theme of this recording, it's a concept album with really esoteric lyrics that come from various characters. From what I can tell, it talks about the commander of a first century Roman garrison, Munius Lupercus, who was sent to Veleda, a female Bructerian seer. Ultimately, though, this album is loosely based on The Acts of the Apostle Thomas, who was the evangelist of the Parthians and Indians according to tradition. According to the band's website, this is merely the first part, and the band entreats listeners to "be prepared for the next episodes." "Didymus" Soft, almost musical box-like keyboard begin the first track- how apropos. Strings and background singers gradually ease their way into the scene, and then electronic drums take over, giving this piece a completely different and rather modern sound. What follows is unexpected though, as the track takes on a techno flavor, complete with synthetic rhythms and sampled handclaps. Toward the end, there's promising synthesizer lead that unfortunately is very short-lived- ditto the guitar solo. Didymus, by the way, is the Greek name meaning the same thing as the Aramaic name Thomas- "twin." "Babylon Curse Reversed" Where the lead guitar left off, it picks up here immediately. The gentle music is gorgeous, and the heavily-accented vocalist sounds excellent over it. The synthesizer and guitar teaser from before return, but this time they trade off in a majestic way. "On Calpe's Rock" This very bright track reminds me in many ways of similar Kansas songs, like "Question of My Childhood." The introduction ceases and gentle piano comes in, serving as a lovely base for the singer to maneuver over. The synthesizer lead is especially strong on this one, and in that respect, it reminds me of Genesis, particularly "The Cinema Show." A gentle piano and vocal end the track. "The Spell of Eternity" This is initially a very upbeat track with some strange vocals in the beginning and throughout. This is a song that is heavily-based on various keyboard instruments like piano, harpsichord, and diverse synthesizer sounds. Over electronic drums, there's a guitar lead that was lifted right off of "The Eleventh Earl of Mar" by Genesis. Alongside constant organ and a static bass line, a rapid keyboard solo ensues, which sounds like it could have been right at home somewhere in The Lamb Lies Down on Broadway. "Martialis' Reveries" Gentle acoustic guitar and bass begin this more pastoral work. "Tricks & Treason" Acoustic guitar and organ make up the beginning of this one following a short spoken bit. Shimmering guitar and organ assume control in the second half, welcoming the singer over some aquatic sounds. Generally, it's an upbeat, if sometimes generic progressive rock track that should sit well with most folks. "Lovernius' Song" Beautifully calm organ and clean electric guitar build a wistful sense of intrigue on this one. "Batavian Revolt" Acoustic guitar, Mellotron, organ, and drums set the build for this exceptional and lengthiest track. Again, this piece reeks of Genesis, but is rife with creativity in terms of composition. Gentle organ lets the subtle electric guitar wander over it until the verse returns again. For once there's a strong break from the Genesis sound, but the band adopts a Yes veneer, with Howe-like lead guitar (clean jazzy "shredding) over a solid organ. "Amazons & Haven" The sounds are bright, but the composition is dim- the opening of this piece makes me think of twilight. This lengthy song is laced with acoustic and electric guitar, synthesizer, and that ever-present organ, all weaving in out of each other, even during the verses. A church organ (like it is on analogue tape) plays what sounds like a blend of Stravinsky's finale from his Firebird Suite and Mussorgsky's main theme from Pictures at an Exhibition. "Sign on the Wall" Improvised-sounding percussion and fretless bass finish up the album. Various themes that seems to jump in throughout the album comes back here in full force for one final chance to imprint themselves onto the listener's memory. It is quite a brilliant way to end such a great album.